Located at 750 m above sea level the Villa Morissolina is an excellent starting point for the region of Lago Maggiore. Our small community with just 400 inhabitants, is a popular starting point for hiking, mountain biking and paragliding. Cannobio is a small place with about 5100 inhabitants, situated in the province of Verbano-Cusio-Ossola. 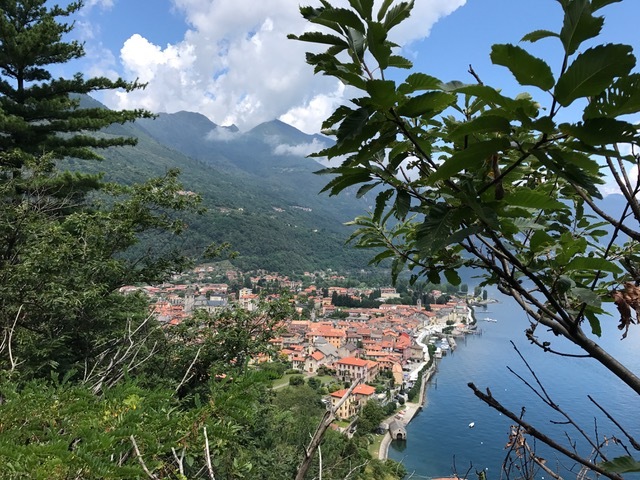 The community is located on the western shore of Lake Maggiore..
Cannero Riviera, with about 1100 inhabitants, is located in the Italian province of Verbano-Cusio-Ossola on Lake Maggiore. Lake Orta lies to the west of Lake Maggiore and is one of the Italian lakes of Piedmont. Its banks are very picturesque. Particularly noteworthy is the Sacred Mount of Orta. The Lago Maggiore is situated 193m above sea level. It is 370m deep at its deepest point. Its surface area is 212km², of which there are around 80% in the Italian territory and the remaining 20% in Switzerland..
Visit the large weekly market in Luino (always on Wednesdays). Also take a look at our tips for Trips around the Lake Maggiore. Copyright © 2019 Villa Morissolina.